Hi loves, I am so so excited about todays post because it includes a giveaway! 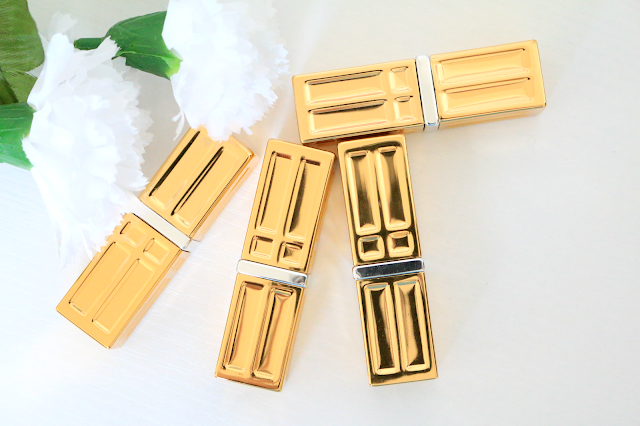 Elizabeth Arden sent me over four of their new Moisturizing Lipsticks, and they sent me a extra set to giveaway to one of you guys! This is my first time trying out anything by Elizabeth Arden so I was really excited. I do have four shades to share with you and they are vary in color. Marigold which is a beautiful orange shade. I do not own many orange lipsticks, so this will be a perfect shade for the summer. Wildberry which is a beautiful mid tone rose pink. This one is my favorite out of the four. I think it's a perfect everyday shade. Pink Pink which is a light pink shade. This one has more of a frost finish. Valentine which is a beautiful cool toned red. 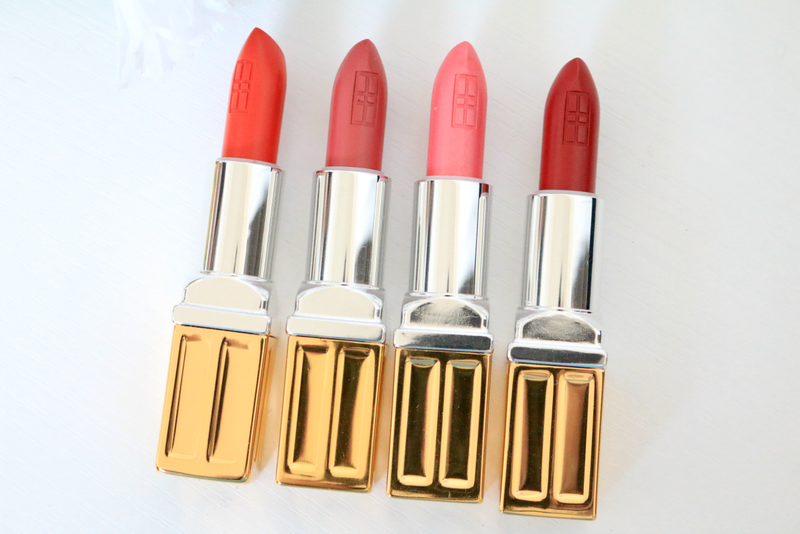 I found these lipsticks to be very moisturizing. All of them had more of a satin finish except for Pink Pink which is more of a frost finish. I also thought they were all very opaque as well. The texture is very smooth which makes it really easy to apply. These lipsticks retail for $25.00 and can be currently purchased at www.macys.com. Now onto the giveaway, you must be 18 years or older to enter, or have your parents permission to join. This giveaway is only available to those who live in the U.S. This giveaway will end on May 4th. 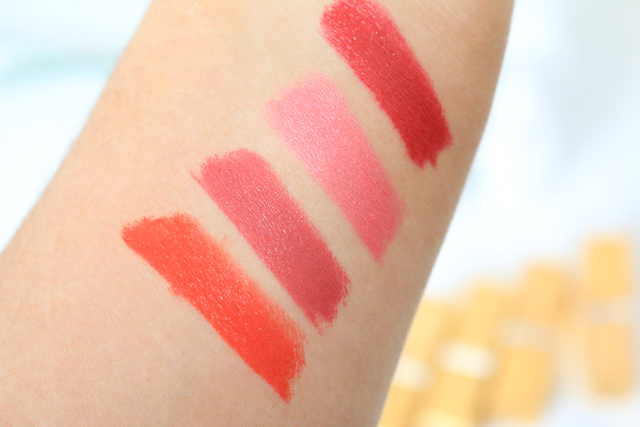 Of those lipsticks, I quite like Wildberry and Valentine. Well I have to say my favs or fav had to be ColourPop ultra satin lippies oh they are so awesome and the formula is so smooth. I can just pick one because they are all good. Omg these colors are so beautiful!!!! 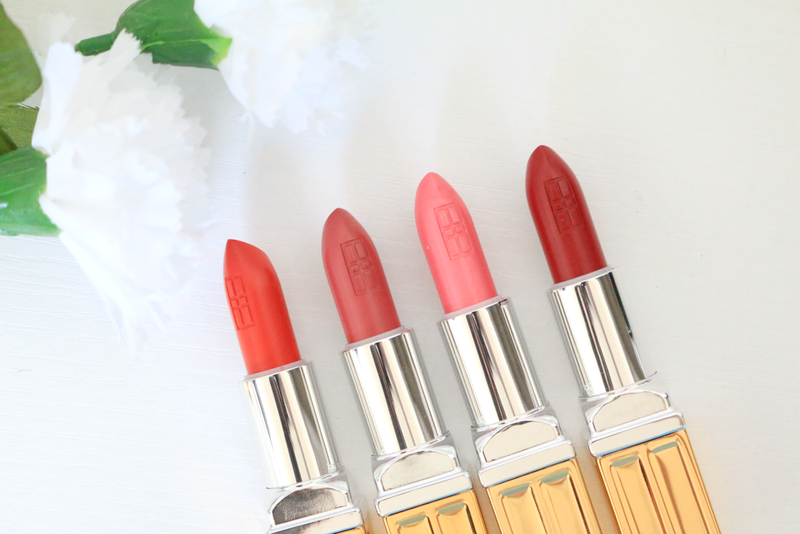 Right now I am absolutely loving the lipstick Sangria from Gerard cosmetics for summer! I am still on the hunt for my summer lipstick, but I just bought MAC Fanfare for everyday and I love it. I definitely love a bright peachy-pink though! I really like Wildberry.